Peggy & Co. Cookbook typography – Peggy & Co. I love to design books, especially ones that have anything to do with food. Cookbook design can be challenging: making sure fractions are set correctly, use of metric and/or imperial measures, ingredient lists, instructions, and recipe yields, to name a few. Maritime Fresh (Nimbus) by Elizabeth Bailey with photos by Kelly Neil, was a mouth-watering delight to work on. 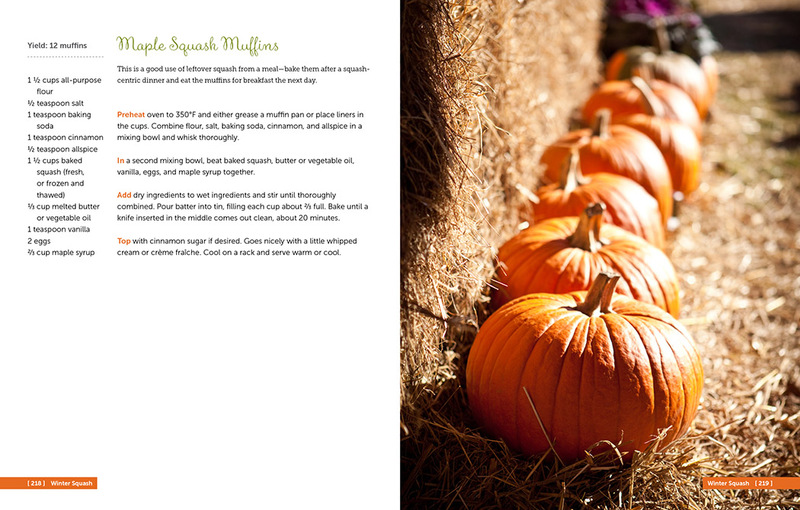 The recipe for Maple Squash Muffins is perfect for using up left-over pumpkin or squash.